CNN just inaugurated their new drone division. So have many other news organizations. Network providers are also setting up drone operations for a variety of purposes. Part 107 of the Federal Aviation Regulations (FAR) clarifies how media are allowed to operate drones, and make it easier for smaller news teams and production companies to utilize these aircraft systems. “It is going to be easier than what existed with the previous rules,” said Robert Kirk, partner with Wilkinson, Baker, Knauer, LLP. The new rules also expand operations to what is essentially termed “civil twilight,” which to the FAA is a very specific time of day. To operate one hour before or after “daylight,” a drone will require lights or other illumination. Previously, those operations were prohibited entirely. Dedicated to aerial imagery and reporting, CNN’s new AIR Division has two full-time operators and a dozen drones of various sizes making up their fleet. CNN intends to use their drones to add context and understanding to their stories as well as enhancing the production value of their images. They expect their new AIR Division will help improve the storytelling aspect of CNN’s reporting. CNN, partnering with Georgia Tech, was able to get the FAA to make CNN a “pathfinder” and gave them permission to explore news-gathering opportunities with drones which they did for 18 months prior to launching their new AIR Division. AT&T has also been exploring various uses of drones. One very likely use is to launch a tethered drone to hover above a sports or political event to provide enhanced LTE wireless coverage to handle the extra load of people sending photos and videos to share the moment. Flying COWs (Cells on Wings) can also provide communications for disaster response teams. Another use is to perform aerial inspections of cell towers. 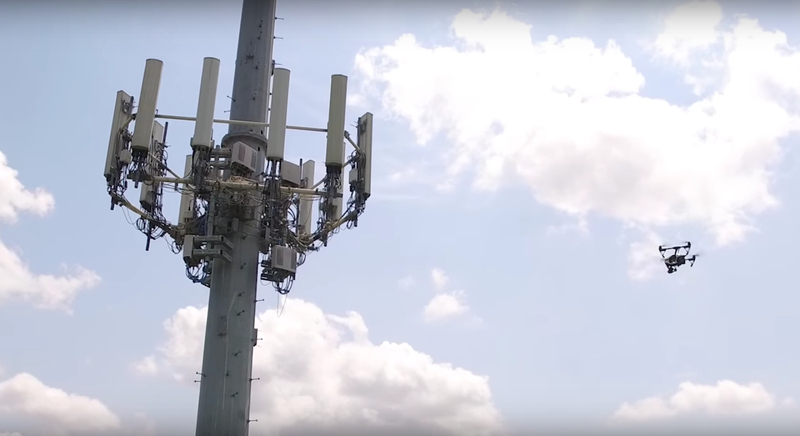 By using drones AT&T service people are able to access parts of a tower that a human cannot. Nokia is also using drones to conduct network testing. It flew around the Dubai International Stadium gathering network data and key performance indicators as well as tower inspection, radio planning and line of sight testing.